EDF Energy, Britain’s largest nuclear power producer, stopped its 480-megawatt (MW) Hinkley Point B7 nuclear reactor on Wednesday evening to repair a hydraulic fluid leak, the company said. Hinkley Point B is one of four nuclear power stations in the area, the others being the adjacent Hinkley Point A together with Oldbury and Berkeley (being decommissioned) on the banks of the River Severn. A new Hinkley Point C nuclear power station is under consideration. The reactor stopped so engineers could attend a hydraulic fluid leak on a valve and the unit is expected to restart on Saturday, EDF Energy said. “I can confirm the reactor went offline at around 2220 GMT last night,” a spokeswoman said on Thursday morning. 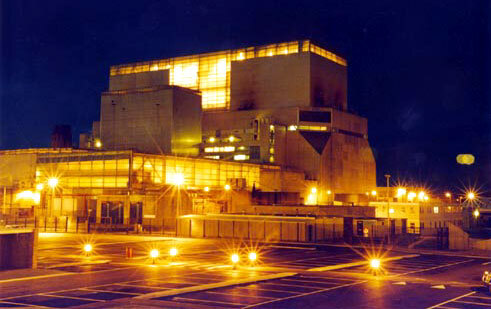 The reactor at Hinkley Point B nuclear plant had previously restarted in the morning of February 9th, 2012, following a one week “planned maintenance period” on its unit 7 reactor. These problems come just days before a transport study over the proposed Hinkley Point C development, the first planned to be built in the UK since the mid-1990s, will be open for debate at a council meeting next week. The report says EDF Energy’s own assessment of a northern bypass for Bridgwater as an option was not adequate, despite the council asking for it to be considered from the outset of the project. The study concludes that without the necessary technical work completed, it would not be possible to deliver the road in time to reduce the impact of the project within the current EDF Energy timescales set for Hinkley Point C. The study also found that a bypass would come at a high environmental as well as financial cost. EDF has been allowed to start preparatory work for the new power station despite planning permission for the facility not yet being granted. SDC Leader, Duncan McGinty said: “It is regrettable that we have had to commission this work at the local tax payers’ expense, which was the job EDF Energy should have done if it wants to route all its construction traffic through our town. Sedgemoor District Council’s council also cited “very real concerns” about paying to scrutinise EDF’s nuclear power station plan. The council says it is adamant local taxpayers’ money should not pay for officers to analyse the £10 billion Hinkley Point C plan. The money instead should come from EDF. The exposed location of Hinkley Point meant that it was considered ideal for wind generation. However, a proposal to build 12 wind turbines close to the site of the nuclear power stations was turned down in October 2005. The reason given by the local council for the rejection was safety fears over what would happen were a turbine blade to detach and hit “something or somebody”.